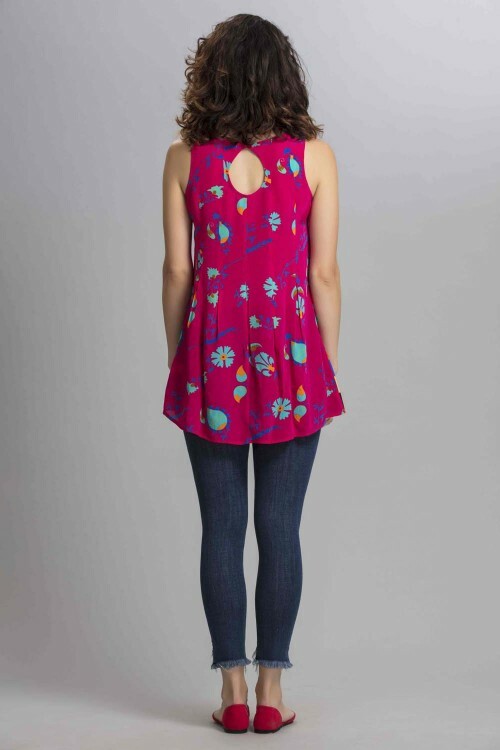 The signature Benares tank top is back in our vibrant Fiesta Fuchsia print with a contrast panel. Pleats at the back add flair and a dressy look. 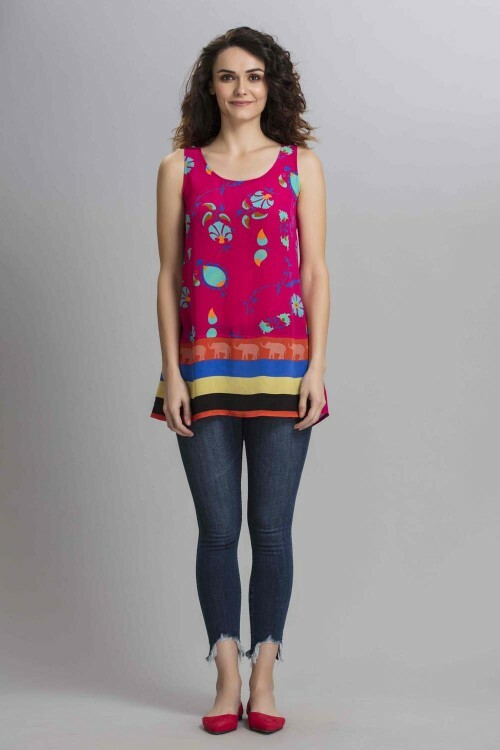 Pair it with jeans or a skirt to create a boho chic look.